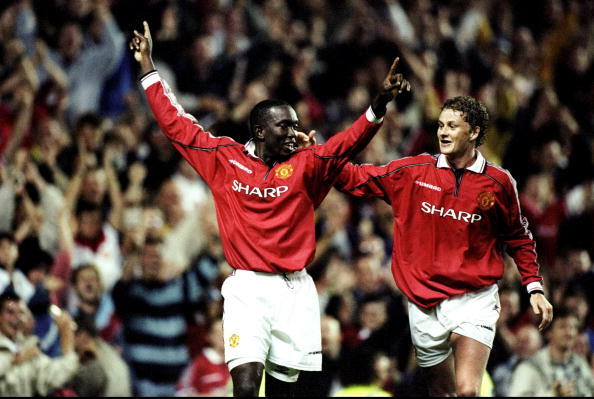 Dwight Yorke has backed his former Manchester United team-mate Ole Gunnar Solskjaer for the permanent managerial vacancy. Since replacing Jose Mourinho last month at Old Trafford, Solskjaer has enjoyed a perfect start by winning all eight of his games in charge of United as interim coach. 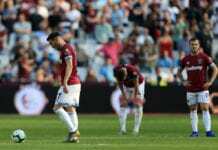 The Norwegian could now further bolster his prospects of becoming the permanent United coach by breaking Carlo Ancelotti and Pep Guardiola’s record of winning their opening six Premier League games if United defeat Burnley tonight. Despite this, however, former Red Devils star Paul Ince believes the club should go all out for Tottenham manager Mauricio Pochettino at the end of the season. But Yorke thinks otherwise and is certain that Solskjaer is the right man for the job. “Is a bigger way winning games, being successful playing attractive football?” Yorke told SportsMax. “The fans have been happy. If he’s doing that. There’s no reason to change it in my opinion. And I think that’s the way to go. “I’m sure everyone who knows Ole like I do, having spent four years with him, I didn’t really see him coming in and in the first place and getting the job, however, the decision was made, you know he’s a close friend. We want to see him do well. “He’s inherited a very good team and he’s been at the club for a very long time, so he understands the way that the club plays and I think that’s all he went in and did, he didn’t have to alter too much. “It’s the same players, give them the way to play forward, play attacking, the Man United brand of football. “And I didn’t think he has to tinker too much because at the end of the day it’s the same players. “You’ve got to give him a lot of credit to go through winning eight games back to back. That’s incredible, to be mentioned alongside the greats of Sir Alex [Ferguson] and certainly Sir Matt Busby, it’s just incredible. Yorke, who scored 66 goals in 147 appearances for United and won three Premier League titles along with the Champions League, admits he’s been taken aback by Solskjaer’s success. “He’s very unassuming, very shy, only spoke when he’s been spoken to, he never spoke out of time or context,” Yorke added. “He is very dedicated to his sports vision. I could see him involved with the younger kids and really doing well at that level. “I just didn’t see him really going into management because being interactive with people, he’s very nice but you know the interacting and communicating with people wasn’t one of his biggest strengths but he seems to have really taken it on. “We know looking back at Cardiff, not particularly great there, but certainly at United, he feels very comfortable there and had a great rapport there with the fans and a great opportunity to show his managerial skills and he seems to have taken the bull by the horns which is fantastic to see – and I can only wish Ole continued success. “He is a very good friend of mine and I only want him to see him do well, not just for himself, but I want to see the football club and the players do what Man United always does – compete in games and being entertaining, scoring fantastic goals – because when you have the players and the attacking flair that we have in our team there is no reason why we shouldn’t be where we are. 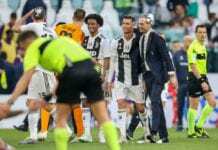 Massimiliano Allegri reiterated plans to remain at Juventus and work on taking the club to a whole new level after winning the Serie A title on Saturday.